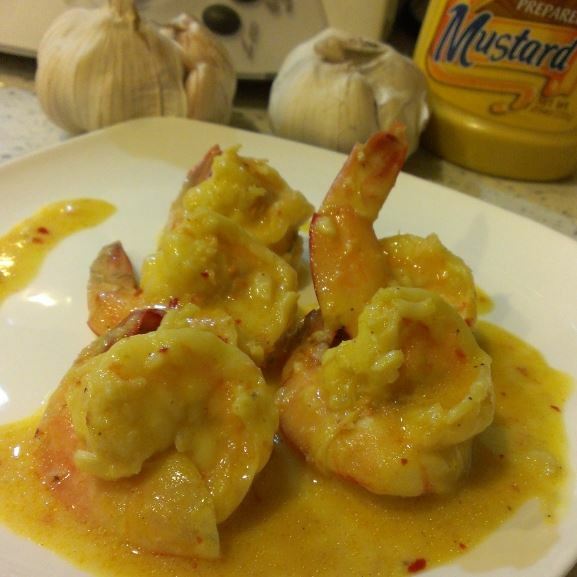 Creamy Garlic Prawns, cooked by Debbie one of the many dishes in a pot-bless dinner last night. Something very easy and yummy to cook, it is a very good idea to cook it for a party. 4) With TM on speed 1 pour in chicken stock, cream and wine and mix for 5 seconds. 6) Add mustard and season to taste. Pour on large bowl and garnish with parsley.